Acquisition creates the world’s largest network for top freelance developers, designers, and business professionals. San Francisco and London – April 4, 2016 – Toptal, the world’s leading network of elite freelance software engineers and designers, today announced the acquisition of Skillbridge, an innovative platform in the on-demand business talent space, for an undisclosed sum. The combined entity will leverage Toptal’s robust technology platform to quickly expand its network of talent and scale product offerings, while maintaining the white-glove matching service and high-level of support that clients of both companies have come to rely upon. With this acquisition, Toptal will represent the top 3% of freelance developers, designers, and business professionals, connecting them with companies around the globe. Over the past several years, Toptal has become the fastest-growing talent marketplace and has continued to increase its network of freelancers, expand product offerings, and build relationships with key partners. As a network, Toptal has developed a rigorous screening process to identify the best. Of the thousands of applications Toptal sees each month, typically fewer than 3% are accepted. For more information and early access to Toptal’s business freelancer service, visit www.toptal.com/business. Skillbridge is the leading online platform for elite business freelancers. In the last 24 months the company has grown to over 7,500 screened freelance professionals, with clients ranging from the largest private equity houses to the Fortune 500. Their proprietary Talent Dynamics matching technology means projects start in days, not weeks, and deliver with unparalleled reliability. Winner of the 2015 Bully award for innovation and growth potential, Skillbridge was founded at the Wharton School and has offices in New York and London. Notable investors include 500 Startups. 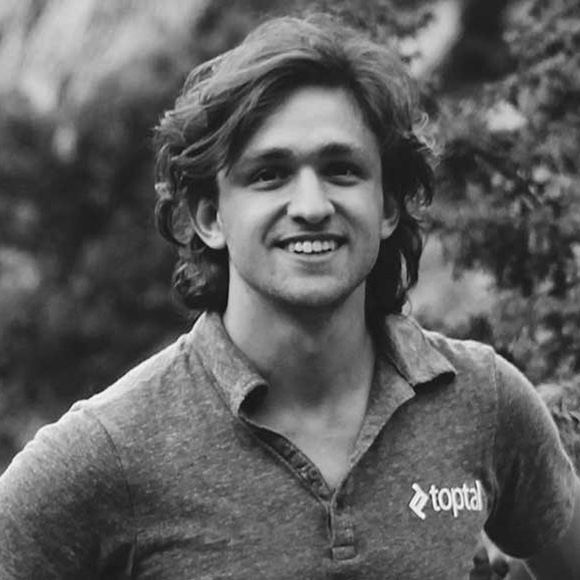 Founded in 2010, Toptal was recently named to the Deloitte Fast 500 and is one the fastest-growing and most innovative companies to emerge from Silicon Valley. With backing from Andreessen Horowitz, Silicon Valley’s famed venture capital firm, Adam D’Angelo, Founder of Quora, Ryan Rockefeller, and other investors, Toptal today connects thousands of elite freelance software engineers and designers from around the world to over 2,000 blue-chip enterprises, such as J.P. Morgan and Pfizer, tech companies such as Airbnb and Zendesk, and numerous startups, to provide world-class solutions that meet the most complex and challenging requirements. Toptal’s rapid growth is testimony to exploding client demand and the unmatched quality and reliability of the company’s services.